Get Ready For Summer!! Perfect for Frisbee Style Fun! hours of fun for kids & adults alike! Cool Classic Spiderman Design Suitable For The Children Aged 3+ Years It defies gravity just like Spiderman! 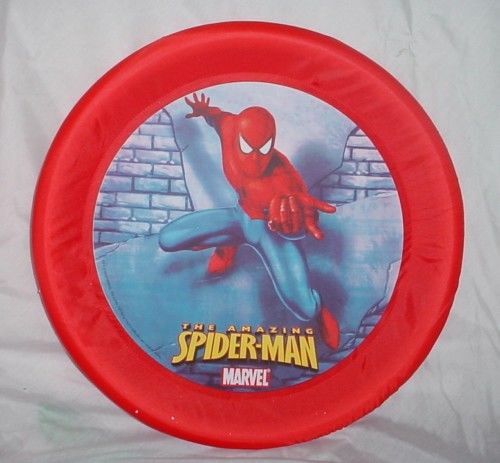 18" The Amazing Spiderman Frisbee Flying Disc Measures approx 18" accross. Features soft rubber edges making it easier and harmless to catch. Great gift for fans who love beach or park activities in the summer.